The course is very comprehensive and challenging, and suitable for beginners as well as for advanced learners. 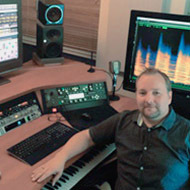 The practice mixes are challenging and the tips and feedback from the tutors are helpful. I really enjoyed the course!